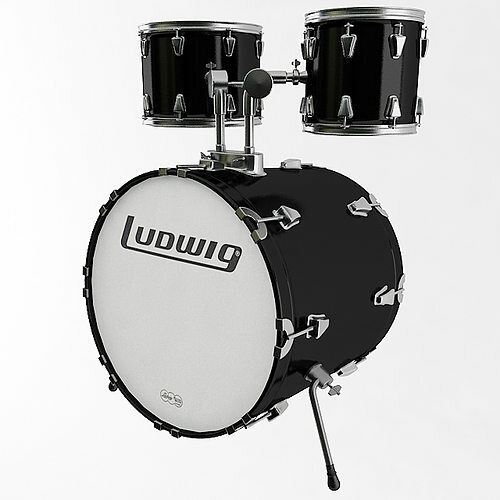 High poly 3d model of a Bass Drum with Tom Tom Drums. Comes complete with Vray and Standard Scanline procedural materials in addition to texture maps. Polygon count is with one meshsmooth iteration applied.